During the UK’s most recent floods we have been inundated with enquires from news agencies from across Europe asking whether the threat of water can be mitigated. We believe it can, but only through an integrated approach that makes space for water alongside resilience and traditional defences. A home for the flood resilient property showcase has been found at the BRE innovation park. Baca are now working with the BRE and industry experts to deliver this demonstration for the end of 2016. 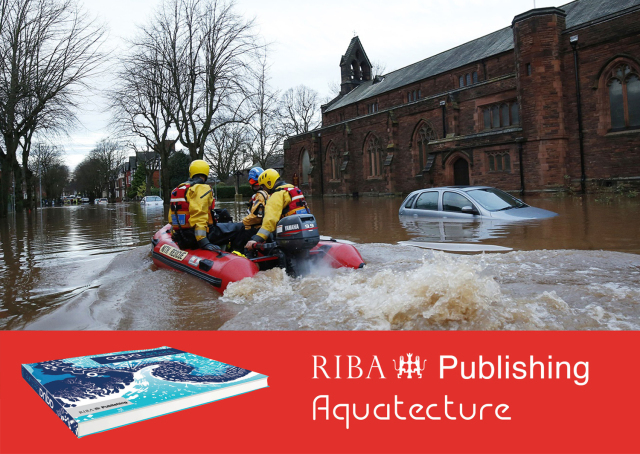 After 2 years of writing and preparation ‘Aquatecture: Buildings and cities designed to live and work with water’ by Baca Directors’ Robert Barker and Richard Coutts (consisting of 50,000 words with over 500 illustrations) has gone to print. The book brings together over 10 years of research by the authors with exciting case studies from around the world. Early reviews have been very positive.